Because Condensing Tankless Water Heater heats water as it passes through the unit and doesn’t need to store it, you will have an endless supply of hot water on demand. 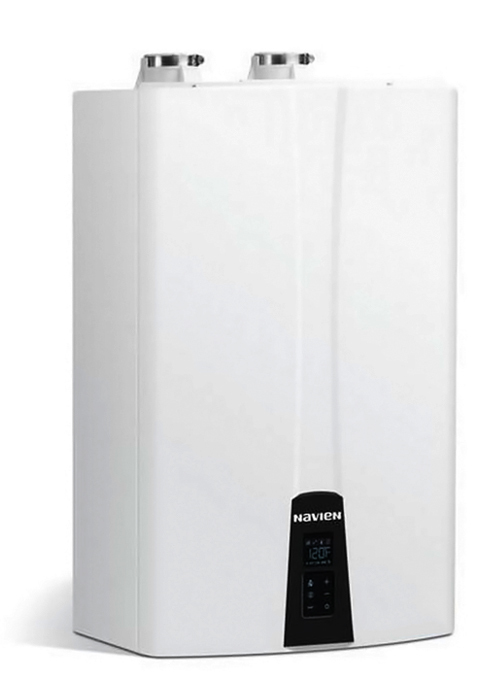 When there is a demand for hot water, the unit senses the flow and starts the heating process. This results in hot water that is not limited to what”s available in your tank, so you always have clean, hot water when you want it for as long as you need it with Condensing Tankless Water Heater! If the heat exchanger fails within 15 years, the original registered owner will receive a new heat exchanger. This tankless unit also has a 5-Year Parts Warranty on all functional parts and 1 year on labor.